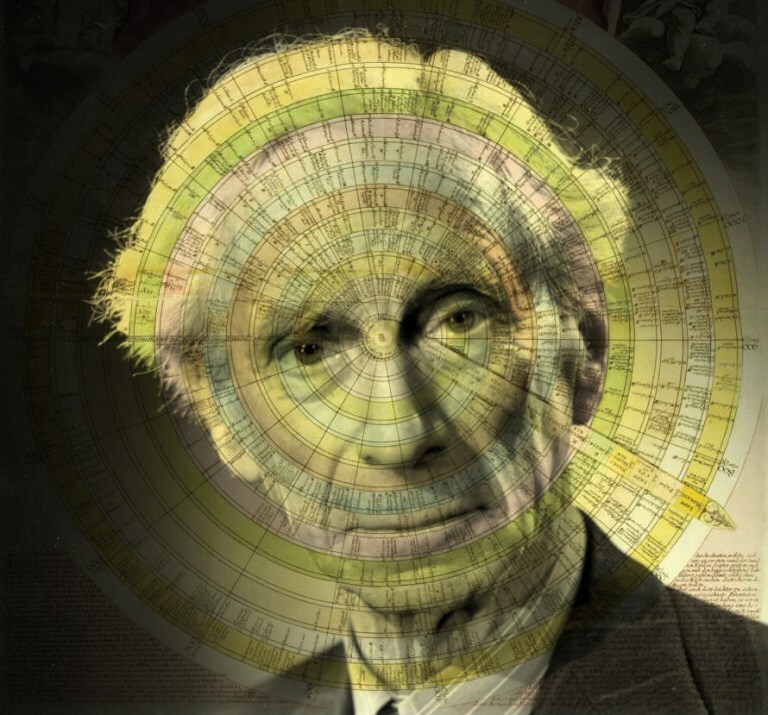 Bertrand Russell was born in 1872 to an aristocratic family in Great Britain. He was a theologian, philosopher, historian, and writer. After being appointed as a lecturer at Trinity College, he was dismissed from his position in 1916 due to his opposition to Britain’s involvement in World War I. He wrote “Capitalism and the Wage System” the following year. —Ed. 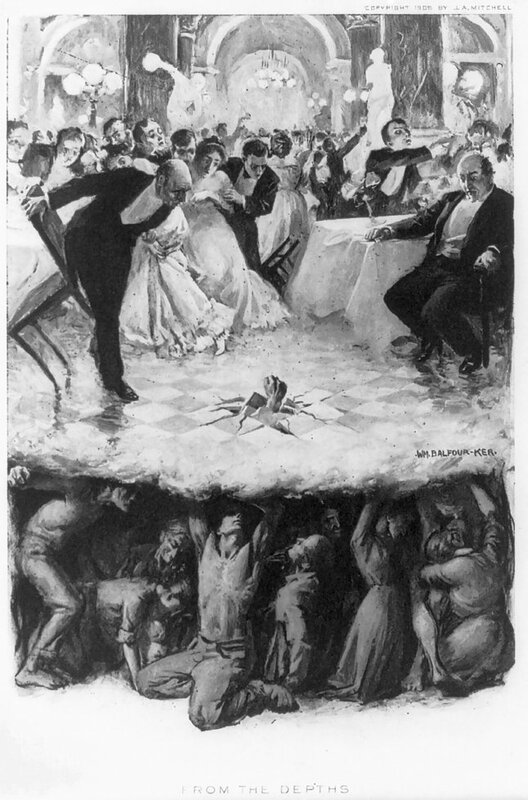 “From the Depths,” by William Balfour. Originally published in The Silent War, by John Ames Mitchell, copyright © 1906. Courtesy of the Library of Congress. November 2018 – The world is full of preventable evils which most men would be glad to see prevented. Nevertheless, these evils persist, and nothing effective is done toward abolishing them. This paradox produces astonishment in inexperienced reformers, and too often produces disillusionment in those who have come to know the difficulty of changing human institutions. War is recognized as an evil by an immense majority in every civilized country; but this recognition does not prevent war. The unjust distribution of wealth must be obviously an evil to those who are not prosperous, and they are nine-tenths of the population. Nevertheless it continues unabated. The tyranny of the holders of power is a source of needless suffering and misfortune to very large sections of mankind; but power remains in few hands, and tends, if anything, to grow more concentrated. I wish first to study the evils of our present institutions, and the causes of the very limited success of reformers in the past, and then to suggest reasons for the hope of a more lasting and permanent success in the near future. The war [World War I] has come as a challenge to all who desire a better world. The system which cannot save mankind from such an appalling disaster is at fault somewhere, and cannot be amended in any lasting way unless the danger of great wars in the future can be made very small. But war is only the final flower of an evil tree. Even in times of peace, most men live lives of monotonous labor, most women are condemned to a drudgery which almost kills the possibility of happiness before youth is past, most children are allowed to grow up in ignorance of all that would enlarge their thoughts or stimulate their imagination. The few who are more fortunate are rendered illiberal by their unjust privileges, and oppressive through fear of the awakening indignation of the masses. From the highest to the lowest, almost all men are absorbed in the economic struggle: the struggle to acquire what is their due or to retain what is not their due. Material possessions, in fact or in desire, dominate our outlook, usually to the exclusion of all generous and creative impulses. Possessiveness — the passion to have and to hold — is the ultimate source of war, and the foundation of all the ills from which the political world is suffering. Only by diminishing the strength of this passion and its hold upon our daily lives can new institutions bring permanent benefit to mankind. Institutions which will diminish the sway of greed are possible, but only through a complete reconstruction of our whole economic system. Capitalism and the wage system must be abolished; they are twin monsters which are eating up the life of the world. In place of them we need a system which will hold in check men’s predatory impulses, and will diminish the economic injustice that allows some to be rich in idleness while others are poor in spite of unremitting labor; but above all we need a system which will destroy the tyranny of the employer, by making men at the same time secure against destitution and able to find scope for individual initiative in the control of the industry by which they live. A better system can do all these things, and can be established by the democracy whenever it grows weary of enduring evils which there is no reason to endure. We may distinguish four purposes at which an economic system may aim: first, it may aim at the greatest possible production of goods and at facilitating technical progress; second, it may aim at securing distributive justice; third, it may aim at giving security against destitution; and, fourth, it may aim at liberating creative impulses and diminishing possessive impulses. Of these four purposes the last is the most important. Security is chiefly important as a means to it. State socialism, though it might give material security and more justice than we have at present, would probably fail to liberate creative impulses or produce a progressive society. Our present system fails in all four purposes. It is chiefly defended on the ground that it achieves the first of the four purposes, namely, the greatest possible production of material goods, but it only does this in a very shortsighted way, by methods which are wasteful in the long run both of human material and of natural resources. Capitalistic enterprise involves a ruthless belief in the importance of increasing material production to the utmost possible extent now and in the immediate future. In obedience to this belief, new portions of the earth’s surface are continually brought under the sway of industrialism. Vast tracts of Africa become recruiting grounds for the labor required in the gold and diamond mines of the Rand, Rhodesia, and Kimberley; for this purpose, the population is demoralized, taxed, driven into revolt, and exposed to the contamination of European vice and disease. Healthy and vigorous races from Southern Europe are tempted to America, where sweating and slum life reduce their vitality if they do not actually cause their death. What damage is done to our own urban populations by the conditions under which they live, we all know. And what is true of the human riches of the world is no less true of the physical resources. The mines, forests, and wheat fields of the world are all being exploited at a rate which must practically exhaust them at no distant date. On the side of material production, the world is living too fast; in a kind of delirium, almost all the energy of the world has rushed into the immediate production of something, no matter what, and no matter at what cost. And yet our present system is defended on the ground that it safeguards progress! It cannot be said that our present economic system is any more successful in regard to the other three objects which ought to be aimed at. Among the many obvious evils of capitalism and the wage system, none are more glaring than that they encourage predatory instincts, that they allow economic injustice, and that they give great scope to the tyranny of the employer. As to predatory instincts, we may say, broadly speaking, that in a state of nature there would be two ways of acquiring riches — one by production, the other by robbery. Under our existing system, although what is recognized as robbery is forbidden, there are nevertheless many ways of becoming rich without contributing anything to the wealth of the community. Ownership of land or capital, whether acquired or inherited, gives a legal right to a permanent income. Although most people have to produce in order to live, a privileged minority are able to live in luxury without producing anything at all. As these are the men who are not only the most fortunate but also the most respected, there is a general desire to enter their ranks, and a widespread unwillingness to face the fact that there is no justification whatever for incomes derived in this way. And apart from the passive enjoyment of rent or interest, the methods of acquiring wealth are very largely predatory. It is not, as a rule, by means of useful inventions, or of any other action which increases the general wealth of the community, that men amass fortunes; it is much more often by skill in exploiting or circumventing others. Nor is it only among the rich that our present regime promotes a narrowly acquisitive spirit. The constant risk of destitution compels most men to fill a great part of their time and thought with the economic struggle. There is a theory that this increases the total output of wealth by the community. But for reasons to which I shall return later, I believe this theory to be wholly mistaken. Economic injustice is perhaps the most obvious evil of our present system. It would be utterly absurd to maintain that the men who inherit great wealth deserve better of the community than those who have to work for their living. I am not prepared to maintain that economic justice requires an exactly equal income for everybody. Some kinds of work require a larger income for efficiency than others do; but there is economic injustice as soon as a man has more than his share, unless it is because his efficiency in his work requires it, or as a reward for some definite service. But this point is so obvious that it needs no elaboration. The modern growth of monopolies in the shape of trusts, cartels, federations of employers and so on has greatly increased the power of the capitalist to levy toll on the community. This tendency will not cease of itself, but only through definite action on the part of those who do not profit by the capitalist regime. Unfortunately the distinction between the proletariat and the capitalist is not so sharp as it was in the minds of socialist theorizers. Trade unions have funds in various securities; friendly societies are large capitalists; and many individuals eke out their wages by invested savings. All this increases the difficulty of any clear-cut radical change in our economic system. But it does not diminish the desirability of such a change. Such a system as that suggested by the French syndicalists [unionists], in which each trade would be self-governing and completely independent, without the control of any central authority, would not secure economic justice. Some trades are in a much stronger bargaining position than others. Coal and transport, for example, could paralyze the national life, and could levy blackmail by threatening to do so. On the other hand, such people as schoolteachers, for example, could rouse very little terror by the threat of a strike and would be in a very weak bargaining position. Justice can never be secured by any system of unrestrained force exercised by interested parties in their own interests. For this reason the abolition of the state, which the syndicalists seem to desire, would be a measure not compatible with economic justice. The tyranny of the employer, which at present robs the greater part of most men’s lives of all liberty and all initiative, is unavoidable so long as the employer retains the right of dismissal with consequent loss of pay. This right is supposed to be essential in order that men may have an incentive to work thoroughly. But as men grow more civilized, incentives based on hope become increasingly preferable to those that are based on fear. It would be far better that men should be rewarded for working well than that they should be punished for working badly. This system is already in operation in the civil service, where a man is only dismissed for some exceptional degree of vice or virtue, such as murder or illegal abstention from it [conscientious objection]. Sufficient pay to ensure a livelihood ought to be given to every person who is willing to work, independently of the question whether the particular work at which he is skilled is wanted at the moment or not. If it is not wanted, some new trade which is wanted ought to be taught at the public expense. Why, for example, should a hansom-cab [horse-drawn carriage] driver be allowed to suffer on account of the introduction of taxis? He has not committed any crime, and the fact that his work is no longer wanted is due to causes entirely outside his control. Instead of being allowed to starve, he ought to be given instruction in motor driving or in whatever other trade may seem most suitable. At present, owing to the fact that all industrial changes tend to cause hardships to some section of wage earners, there is a tendency to technical conservatism on the part of labor, a dislike of innovations, new processes, and new methods. But such changes, if they are in the permanent interest of the community, ought to be carried out without allowing them to bring unmerited loss to those sections of the community whose labor is no longer wanted in the old form. The instinctive conservatism of mankind is sure to make all processes of production change more slowly than they should. It is a pity to add to this by the avoidable conservatism which is forced upon organized labor at present through the unjust workings of a change. It will be said that men will not work well if the fear of dismissal does not spur them on. I think it is only a small percentage of whom this would be true at present. And those of whom it would be true might easily become industrious if they were given more congenial work or a wiser training. The residue who cannot be coaxed into industry by any such methods are probably to be regarded as pathological cases, requiring medical rather than penal treatment. And against this residue must be set the very much larger number who are now ruined in health or in morale by the terrible uncertainty of their livelihood and the great irregularity of their employment. To very many, security would bring a quite new possibility of physical and moral health. The most dangerous aspect of the tyranny of the employer is the power which it gives him of interfering with men’s activities outside their working hours. A man may be dismissed because the employer dislikes his religion or his politics, or chooses to think his private life immoral. He may be dismissed because he tries to produce a spirit of independence among his fellow employees. He may fail completely to find employment merely on the ground that he is better educated than most and therefore more dangerous. Such cases actually occur at present. This evil would not be remedied, but rather intensified, under state socialism, because, where the State is the only employer, there is no refuge from its prejudices such as may now accidentally arise through the differing opinions of different men. The State would be able to enforce any system of beliefs it happened to like, and it is almost certain that it would do so. Freedom of thought would be penalized, and all independence of spirit would die out. Any rigid system would involve this evil. It is very necessary that there should be diversity and lack of complete systematization. Minorities must be able to live and develop their opinions freely. If this is not secured, the instinct of persecution and conformity will force all men into one mold and make all vital progress impossible. For these reasons, no one ought to be allowed to suffer destitution so long as he or she is willing to work. And no kind of inquiry ought to be made into opinion or private life. It is only on this basis that it is possible to build up an economic system not founded upon tyranny and terror. 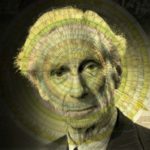 Bertrand Russell was an English writer, political activist, and social critic who received the Nobel Prize in literature in 1950. He died in 1970 at the age of ninety-seven.